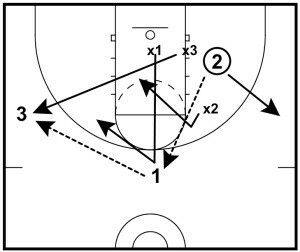 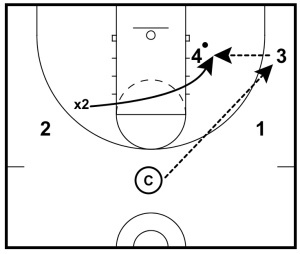 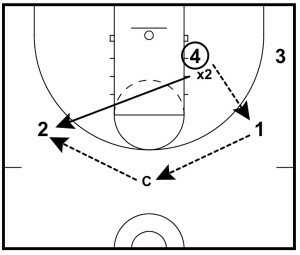 These 3 defensive drills are from Matt Monroe’s Hoops Roundtable site. Modify these drills to fit what you need to use to teach and reinforce and your defensive rules, concepts, and principles. 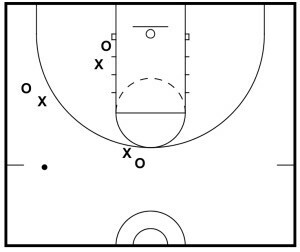 • Coach passes to one of the offensive players (O’s), who catches and drives. 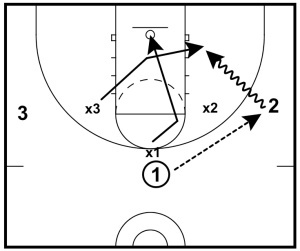 • The defenders (X’s) all close out with proper technique to correct position. 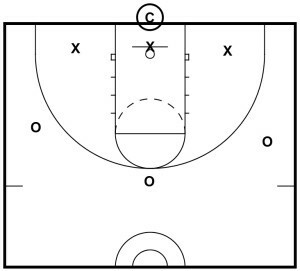 Note: Add back cut if defense over plays when they closeout to a player who does not have the basketball or add a jump shot if the defender closing on the ball is late. 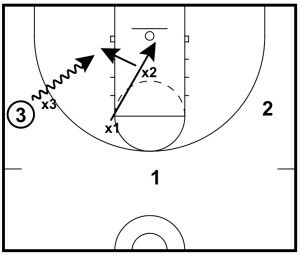 This final drill is obviously not a 3 on 3 drill, but one to think about adapting to how you defend the low post.